Embark on a 3, 4 or 5 night tiger fishing & wildlife Safari at either Potato Bush Camp or Sausage Tree Camp. 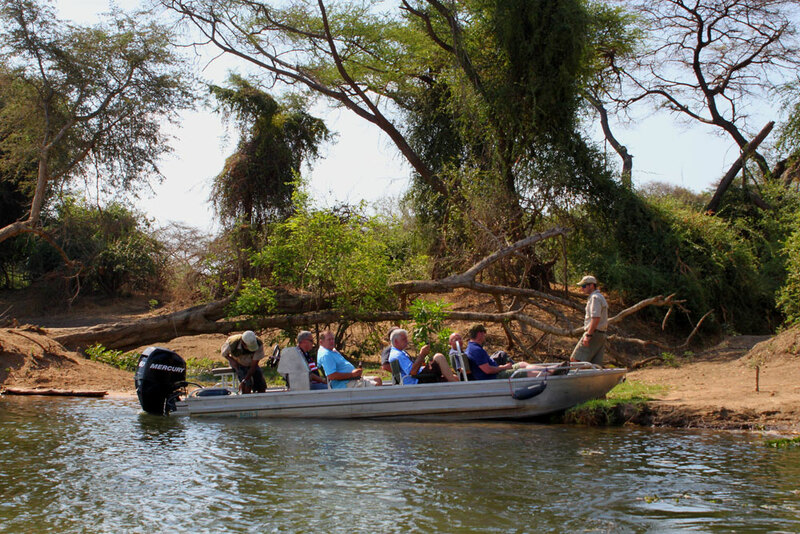 This trip is based on private camp occupancy (10 people) and fishing from 4 - 7 boats. 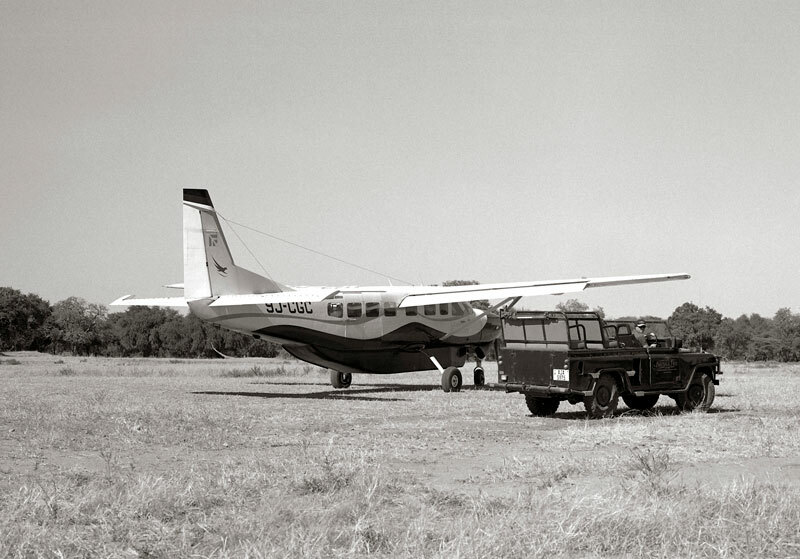 Upon arrival at Lusaka International Airport (this ticket is not included in the price but can be added if required), you will be met by your charter pilots who will be flying you into the Lower Zambezi National Park. Note: Any passengers travelling on non SADC passports will need to purchase a VISA (current price is USD 5O per person). 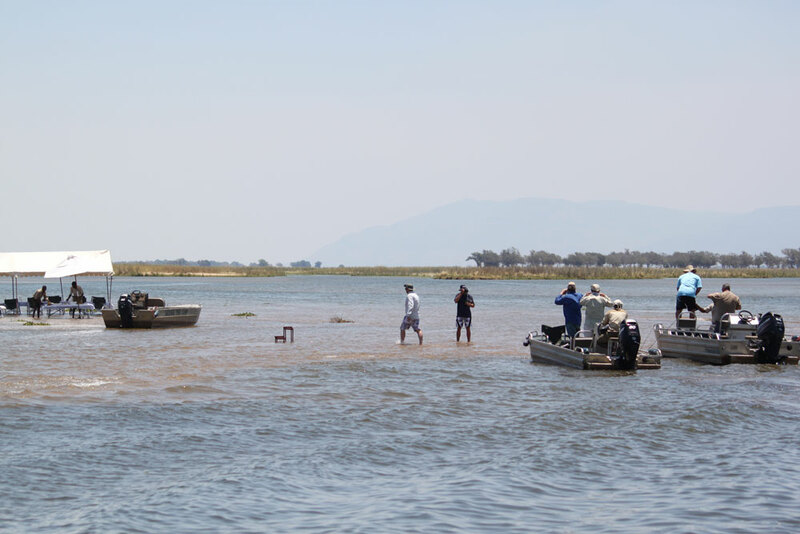 A typical morning in the Lower Zambezi begins with early morning tea and coffee and oats porridge before heading out for some fishing on the Zambezi River. Full day trips with packed lunches are available as well. 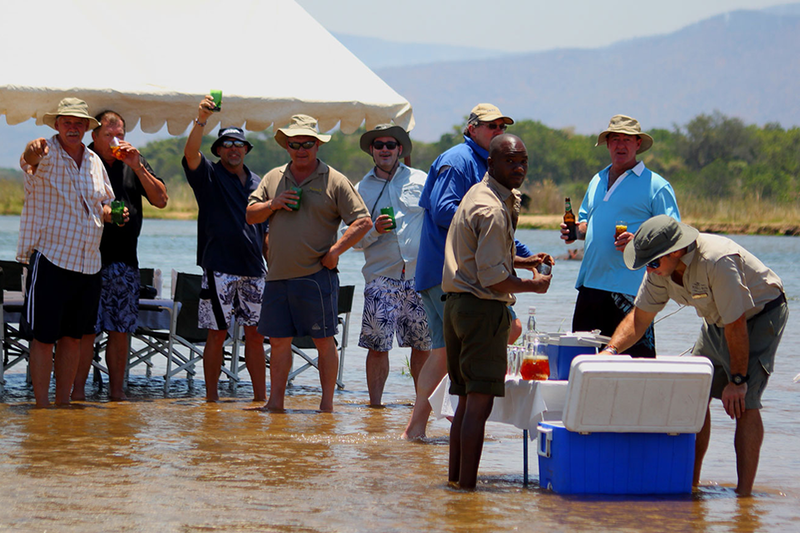 Alternatively, guests wishing to enjoy a game drive, safari walk, canoe trip or boat cruise need simply speak to the hosts to arrange these activities. 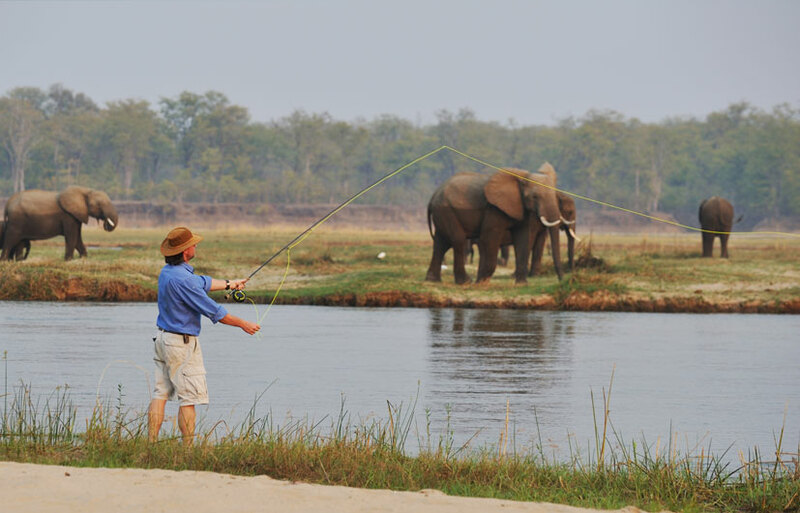 Return for brunch at Potato Bush or Sausage Tree and thereafter, there is time for an afternoon siesta or relaxing time around the pool.You will meet again on the deck for high tea before departing for your afternoon’s fishing or safari activity. Return after sunset in the evening for a shower before meeting around a roaring fire for drinks followed by dinner. The Lower Zambezi is at best from a fishing perspective from September through to early December with April being a good month as well. 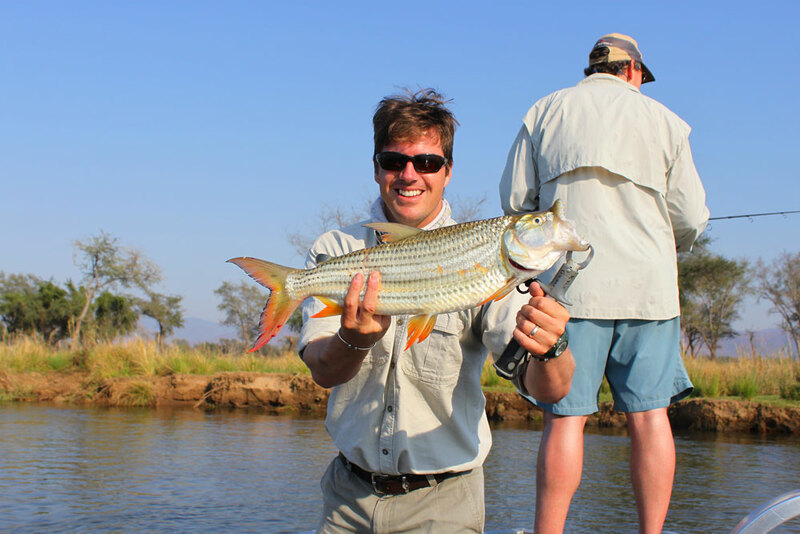 Although fish can be caught throughout the year, these are the preferred months when the water is nice and warm. 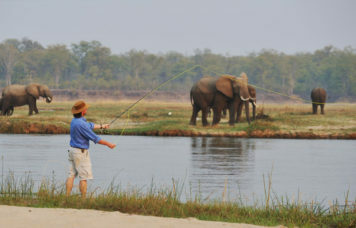 The Lower Zambezi fishing experience is usually enjoyed by using a mixture of drift baiting and spinning. Drifting with tiger fillets or chessa fillets can be very productive and anglers need to wait for the fish to pick up run with the bait a bit before setting the hook. The wide channels and sandy drop offs make for ideal drift bait structure. 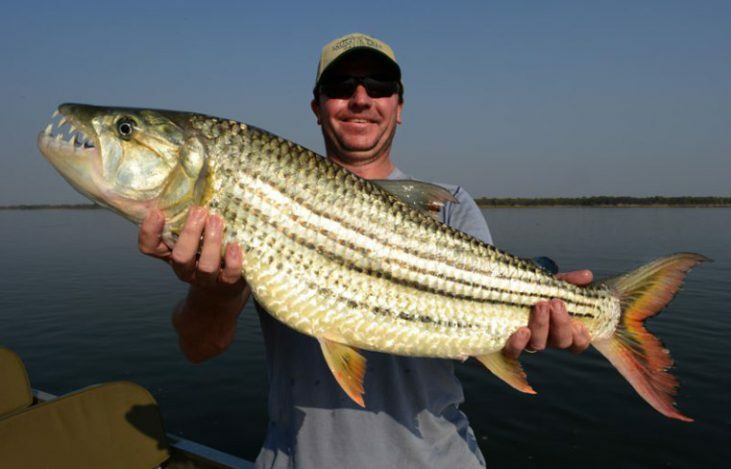 Spinning is also a very good means of targeting tigerfish and casting plastic lures and spinners like the Tiger Spinner Copper and Red or Fire Tiger has always yielded great results. Of course the classic effzett copper spoon is also very effective for spinning as well. Lures should not exceed 9cm or dive too deep. 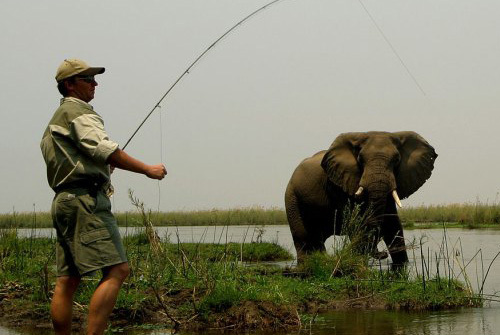 Fly fishing can also be very productive with a fast sinking lines getting flies into the structure and over the drops offs quickly. The preferred colours for flies tend to vary from season to season. 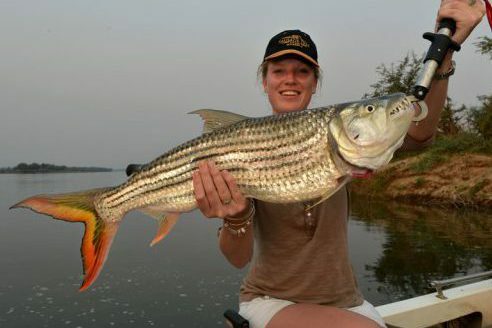 Tiger fish are the dominant fish species here and have been caught up to 20lbs while there are also fantastic catches of vundu possible. 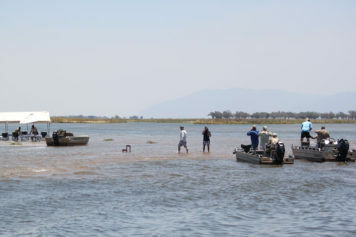 Other notable species include chessa, bream and nkupe. 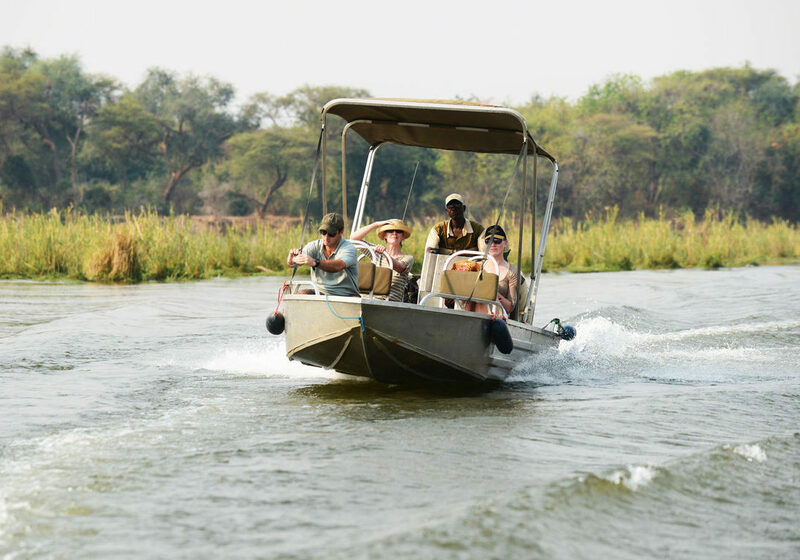 Following coffee and the morning’s activity, you will be able to enjoy a final breakfast.At 11.00am you will enjoy a final boat cruise followed by a game drive to meet your plane which will be waiting to depart at 11.45 for your 30 minute charter flight back to Lusaka. Thereafter, you will connect with your international flights homeward. 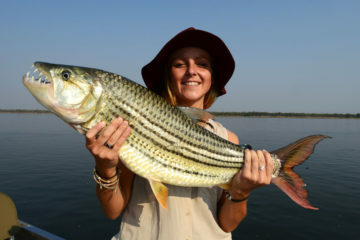 Interested in embarking on this fishing safari?